Lightolier came to Foster Associates desiring a renewed space, to restate their corporate identity. Foster Associates first designed an addition of glass and a perforated metal, marking the entry and introducing a welcoming transparency to the lobby of the corporation. Once inside, guests and employees are greeted at a custom designed wood, metal, and glass reception desk. Natural light filters through the perforated metal, diffusing evenly over the interior surfaces. 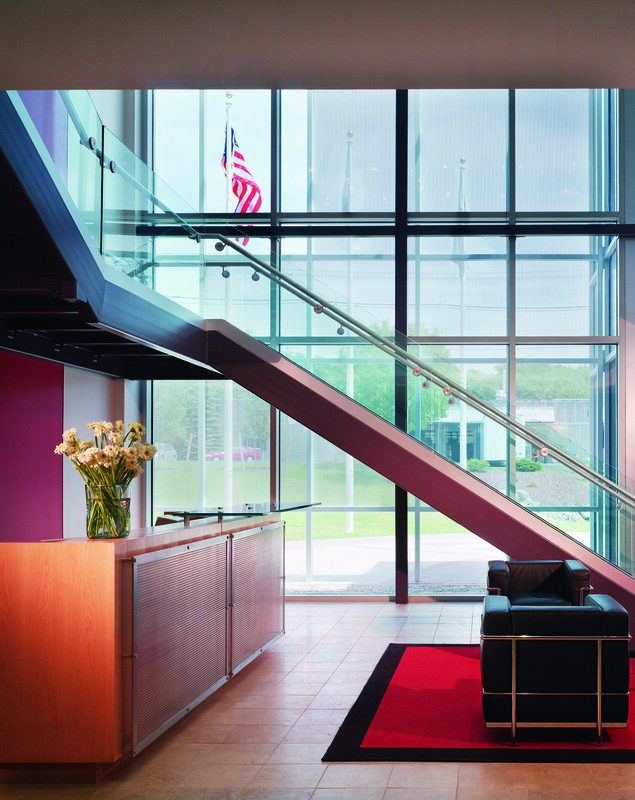 A new metal and glass stair proceeds upstairs, backgrounded by a two-story wall, unifying the space, and painted in Lightolier red. 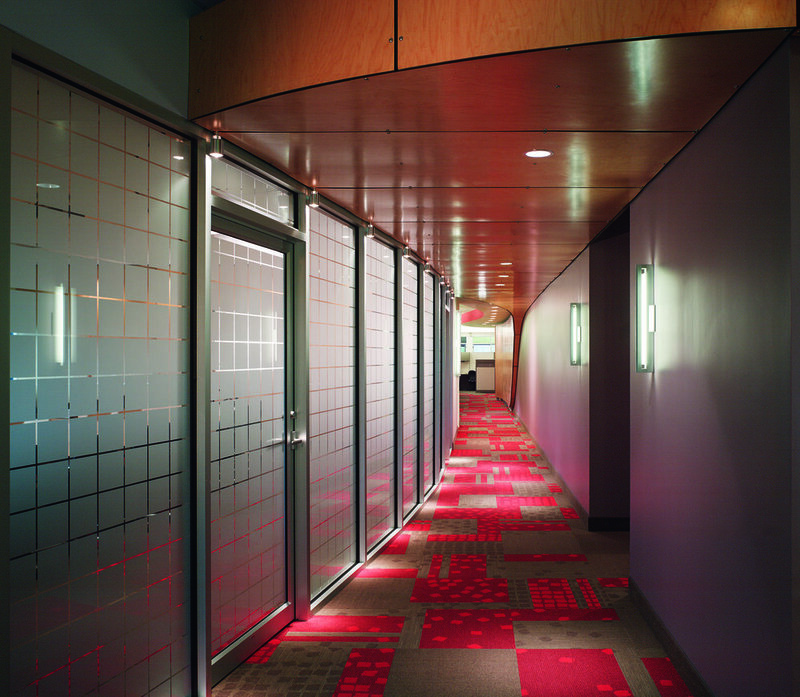 Beyond the stair, the History Gallery, Technology Center, Management + Design Departments, and Cafeteria were redefined by the color and texture of the finishes, providing a sense of procession within the building. A curving plywood surface winds through the offices spaces, transforms from wall to soffit, conference room ceiling and terminates in the design department. 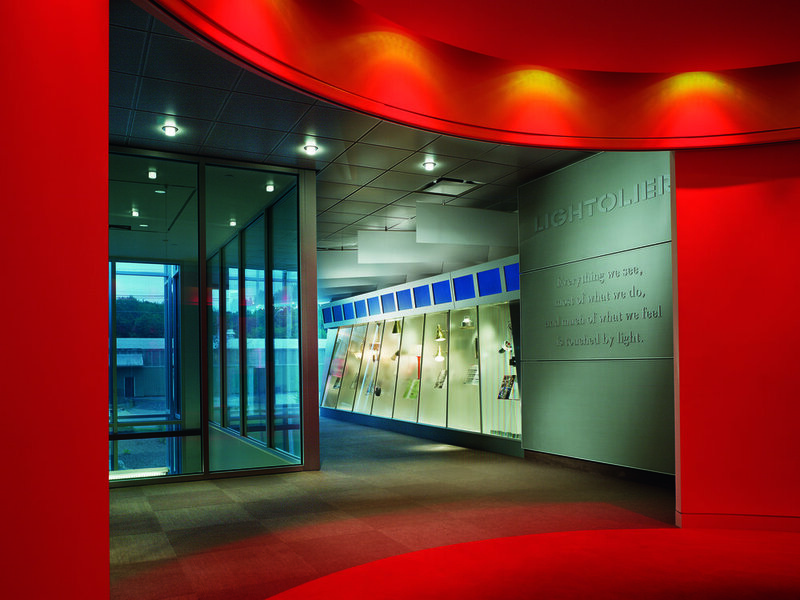 The soffit, painted Lightolier red, denotes path, while providing opportunities for lighting. In time, the renovation of the Lightolier headquarters has provided a language of unity and innovation, rejuvenating the working environment as the corporation embarked on its next century of production.